Did one Framingham United youth soccer dad really help himself to daily Dunkin’ Donuts, vacations, and piles of club cash? 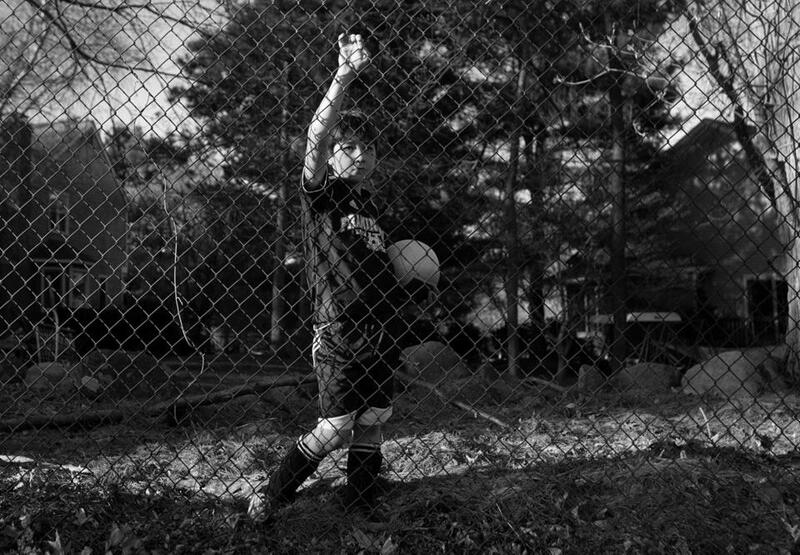 Carter DiBenedetto retrieves a stray ball during a Framingham United Soccer Club Under-10 match in May. WHEN ALEX BRAVERMAN HEARD what happened at Framingham United Soccer Club, he felt sick. Braverman had volunteered with the town’s youth soccer program for 20 years — first as an assistant coach, then as a coach, tournament director, referee director, club treasurer, and even president. He retired from the club’s board of directors a few years ago but was pressed back into action in mid-February, when he received an e-mail from Steve Meltzer, the president of the Framingham United Booster Club. What made Braverman sick was learning that more than $100,000 was missing from the bank account of the soccer program he had helped grow into the largest youth sports program in town, serving 1,200 children between the ages of 5 and 18. His initial shock gave way to action. He wanted to save the spring season. Scott Vermilya also received an e-mail in February, his from the club’s board president, Rob Kirkpatrick. Like Braverman, Vermilya had started out as an assistant coach and then served as a coach and tournament director; he was elected treasurer in January 2014. Kirkpatrick’s e-mail said that after six years with the club, Vermilya’s help was no longer needed. Framingham United isn’t the first youth sports organization in Massachusetts to deal with what is sometimes euphemistically referred to as “lost funds.” Last year, the former treasurer of the New England Figure Skating Club, based in Marlborough, was ordered to repay more than $50,000, and the treasurer of the Sandwich Youth Soccer League was charged with larceny. Part of the problem is that big youth sports organizations are swimming in cash. In 2013 in Massachusetts, 150 registered nonprofits running youth soccer programs reported more than $25 million in receipts to the Massachusetts attorney general. That figure doesn’t take into account the for-profit soccer programs. MANY SMALL, COMMUNITY-BASED nonprofits are run entirely by volunteers, and Framingham United, one of the largest soccer organizations in the state, with its 1,200 youth members and hundreds of adult volunteers, is no exception. Busy parents spend their leisure time e-mailing, organizing, counting, coaching, and cleaning in the service of their children’s extracurriculars. According to Alex Braverman, when he started with Framingham United, more parents were willing to give up their time for the club. Fifteen years ago, when the club started its Memorial Day tournament, it was easy to get volunteers, he says; some would spend hours making lunch for thousands of players. Now, Braverman explains, “it’s hard to even get volunteers to register teams,” a task that takes just an hour or two. With a decrease in capable parent volunteers, more work falls on fewer shoulders. Elmer Melara waits to play in the Under-10 match. CHRIS COLE, AN EXPERT IN not-for-profits at the American Institute of CPAs, says this kind of by-default recruiting happens a lot. Many leaders in nonprofit organizations do not have financial training, a problem he says has intensified as the number of nonprofits has grown in the past decade. Cole is sympathetic to the plight of organizations run entirely by volunteers — he is the treasurer for a youth baseball organization in Hillsborough, North Carolina. Cole and other finance professionals stress that organizations should be wary if someone volunteers to take up a position that deals with money. They recommend buying insurance to help mitigate the kinds of losses suffered by Framingham United. Many mistakenly think that they are protected if an accountant files their tax returns and completes an audit. “The purpose of the audit is not to find fraud. It’s to determine that the financial statements are materially correct,” Cole says. There’s even less protection when you pay someone to complete your tax returns; he or she isn’t certifying that your income is what you report it is, just that, based on the information you provided, the forms are filled out properly. Since reporting its losses to authorities, Framingham United has seen the community rally around the organization. Club president Rob Kirkpatrick says that Framingham Youth Lacrosse made a “modest donation” to the soccer club. Ali Corton, who has a 9-year-old son and a 5-year-old daughter who play on Framingham United teams, started a GoFundMe campaign that has raised close to $2,000. Corton has not been an active volunteer with the club but is now thinking about getting more involved. Framingham United has also worked to improve its internal controls. When Alex Braverman stepped in as interim treasurer, he immediately got rid of the debit card and made sure that checks require dual signatures and that bank statements are regularly reviewed, including online account access for several individuals. Braverman also established a Treasurer’s Committee, from which he hopes to recruit a new treasurer. The breach of trust is often as difficult to deal with as the financial losses, as other volunteers feel violated and used, not to mention that the accused may be the mother or father of your child’s best friend and teammate. Steve Meltzer, president of Framingham United’s Boosters, says he is in shock at the idea that someone would betray the kids in the program. 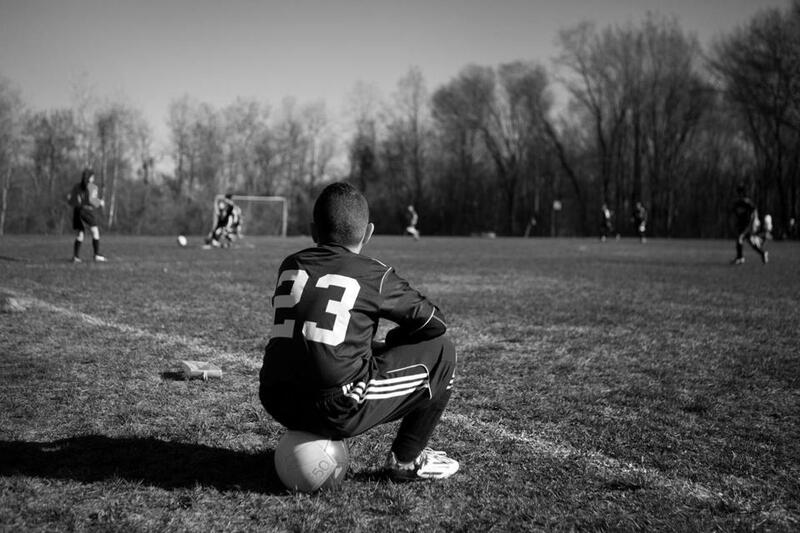 He sees a big difference between “stealing from some rich corporation” and “putting in jeopardy the program that runs soccer for 1,200 kids in town.” But make no mistake that the financial losses can be crippling. The New England Skating Club closed down in 2010 (the nonprofit’s former treasurer was ordered to pay restitution last year), and organizations without insurance can be wiped out. Framingham United did have insurance through Massachusetts Youth Soccer, and it expects to recover a portion of its lost funds that way. And because the local club pays dues, the state organization has stepped in with some of the money needed to keep the club running until the legalities are sorted. The club’s kids made it through their spring season, and the summer season lies ahead. According to his attorney, Scott Vermilya is fully cooperating with the district attorney’s office as he waits for the DA’s next move. Braverman hopes he can once again retire from the board, provided all the adults continue to play by the rules. Hilary Levey Friedman is the author of “Playing to Win: Raising Children in a Competitive Culture,” and she is on the faculty of Brown University in the Department of American Studies. Send comments to magazine@globe.com.